FB Advocacy makes it easy for you to unite with farmers and ranchers across the country and let lawmakers know how you feel. 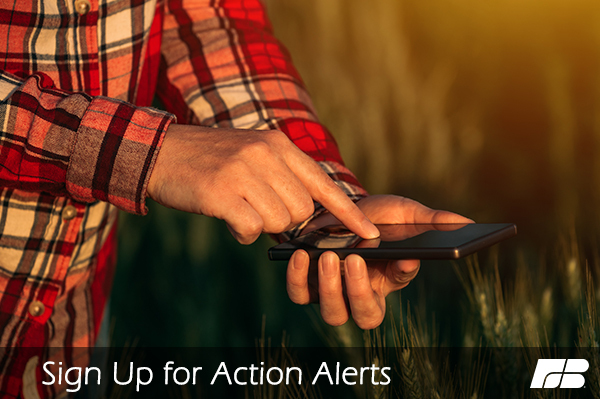 Sign up today to receive action alerts. Farm Bureau needs you!